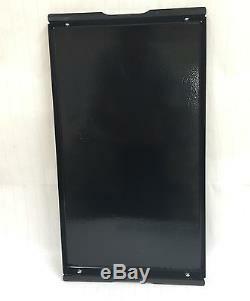 A341 Genuine Jenn-Air Cooktop Range Electric Griddle Grill Cover A341B Black. 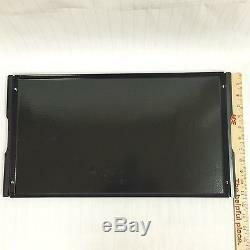 Jenn-Air Cooktop Range Electric Grill Cover A341B Add a clean look to electric cooktop with grill cover. This one-piece cover fits your grill perfectly! 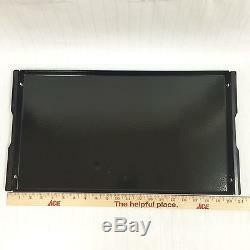 Color: Black Dimensions: 20 3/4 " x 11 1/4" approx Inner Dimensions: 19 1/4" x 10 3/4" approx Deep: 3/4 Fits : Jenn-Air Designer Line Ranges and Cooktops A341, A341B How to use: REMOVE cover before heating grill. Since a heated grill cover would not appear hot, this could create accidental burns should it be touched. Heating the grill cover would also damage the finish. 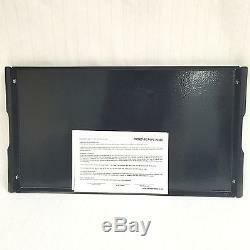 DO NOT place the grill cover over a heated grill. Let the grill cool before putting the cover in place. CLEANING: The grill cover may be easily cleaned with a damp cloth and mild detergent or liquid household cleanser. Thank you for shopping with us! _gsrx_vers_612 GS 6.9.5 (612). 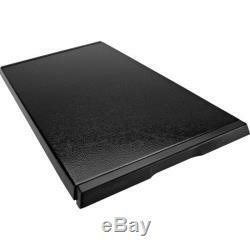 The item "A341 Jenn-Air OEM Electric Cooktop Range Griddle Grill Module Cover A341B" is in sale since Saturday, June 27, 2015. This item is in the category "Home & Garden\Major Appliances\Ranges & Cooking Appliances\Parts & Accessories".